School will be held on Monday, May 14. School will be held on Monday, May 14. The district calendar was changed to accommodate the SEC Music Festival that was held at the high school this past January. An earlier version of the calendar indicated it was a no school day. However, school is in session. For the most up-to-date information visit our website at stillwaterschools.org/calendar. 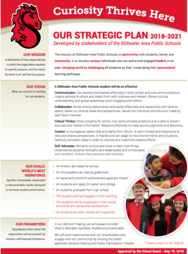 Many thanks to our teachers, students, business leaders and community members who spent the past 20 months developing our 2018-2021 Strategic Plan. The plan reaffirms our mission, defines our vision and outlines the skills, attributes and knowledge a Stillwater graduate should attain by graduation. More than 2,000 community and staff members shared feedback on this process through Thoughtexchange, Think Tanks, Business Leader Round Table, Learning Leaders and Community Conversations. Based on that hard work, the school board unanimously approved the Strategic Plan for 2018-2021 at their meeting on May 10, 2018. The 2018-2021 plan includes our commitment to the community to help create students who are communicators, collaborators, critical thinkers, creators and self-advocates. Read more. Students from the Stillwater Area High School swept the Minnesota BestPrep Stock Market Game! 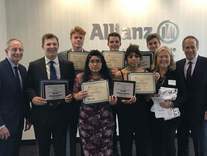 Stillwater teams from Debbie Drommerhausen's marketing class placed first, second and third in the investment competition. About 1,000 teams from across the state took part in the game this spring. Read more. Congrats to the St. Croix Valley Area Learning Center (ALC) for capturing their first-ever Elympics championship! 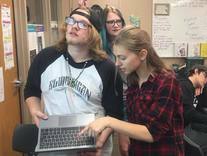 ALC students beat out teams from twenty-five other alternative schools throughout the state of Minnesota in the knowledge competition. This event promotes teamwork and problem solving and is coached by Michelle Engelstad. This is the first ever championship for the ALC team. Sixteen students took part in the competition. Photos on Facebook. 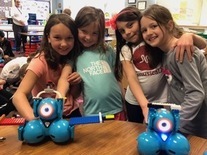 Andersen Elementary second graders are having fun learning coding through Dash and Dot robots. They’ve even done some synchronized dances with them! Teacher Carrie Carroll has incorporated the robots into all aspects of her curriculum. Coding serves as a foundational tool for building computational thinking skills that can easily be transferred into many subject areas. Watch the video and read more on our website. 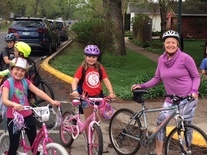 Students at several schools participated in Walk and Bike to School Day. The event promotes healthy lifestyles for students and families. A bike rodeo skills and safety event also took place. Thanks to Sustainable Stillwater, PowerUp, the Stillwater Area High School Mountain Bike Team Team and the Stillwater Police Department for organizing the events and keeping the kids safe. Photos on Facebook. The Peregrine Falcons at Stillwater Area High School have their own YouTube channel! You can watch them live online on several webcams. The birds are part of the Raptor Propagation Program which has been at SAHS since 2000. The goal of the program is to tell the story of the Peregrine Falcon restoration effort that saved the species from extinction. 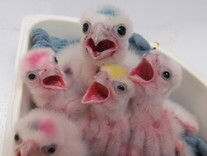 Young produced here are sent to zoos, breeders, falconers, and release programs. Read more about the program on our website at stillwaterschools.org/raptors. Beginning with the 2018 Summer Session, the transportation department will no longer be sending transportation information letters and schedules through the mail. Instead, these materials will be available by electronic notification through our Versatrans e-Link system. An email will be sent to ISD 834 transported families mid-August that will include a website link, username and password for the Versatrans e-Link system. Please make sure to have an accurate email address entered in the Skyward Student Information System in order for us to provide you with this information. Using the Versatrans e-Link system should result in families receiving their bus information several days earlier than it was previously available, in addition to reducing printing and postage costs. Notice is hereby given that the School Board of Independent School District 834 – Stillwater Area Public Schools will be meeting with their World’s Best Workforce Advisory Committee at 6:30 p.m. on Thursday, May 17, 2018 at the Central Services Building, 1875 South Greeley Street, Stillwater, MN. Read the notice online.